RNE was set up by a number of rail infrastructure managers and allocation bodies from European member states and non-EU countries in 2004. A Europe-wide, non-profit making association based in Vienna, RNE acts as a coordination platform for infrastructure managers and provides support to railway undertakings in their international activities. In the future, an integrated European railway area will mean that national borders no longer present complications and rail services can operate smoothly across the whole of Europe. This will require a much higher degree of interoperability between networks than has ever existed. One area where RNE is promoting greater interoperability is international data exchange. Its Train Information System2 (TIS) is a webbased application that delivers real-time data concerning international passenger and freight trains. It enables entire international train operations to be viewed – from origin to destination – and its reporting function (based on Oracle Business Intelligence) makes it a source of information for international quality analysis. TIS originated in the OPTIRAILS I and II projects under the European Union’s Fifth Framework Programme for Research and Technological Development (1998-2002). Following up on these, EUROPTIRAILS was first developed in 2006-2007 by a consortium of six infrastructure managers (RFF, DB-Netz, ÖBB, ProRail, RFI and SBB) on the Rotterdam to Milano/Verona corridor. Cross-border supervision of rail traffic is of critical importance to the European Union who funded this pilot tool. It provided both a monitoring and supervisory facility for the management of railway traffic along major rail corridors. It was not intended to replace national traffic management facilities but rather to create an international ‘information highway’ layered on existing systems. It was tested on two north-south corridors and, in July 2007, RNE took over responsibility of the industrial quality prototype. At that time, the system was handling roughly 500 trains per day and was used by only six infrastructure managers. RNE intended to increase the level of use, involve more infrastructure managers, process more trains, include more operation points, add new functions, provide 24/7 support and also TAF TSI data exchange with infrastructure managers and railway undertakings. This required a development drive. In 2011 EUROPTIRAILS was renamed Train Information System (TIS) as part of RNE’s new corporate design and was chosen as one of the systems taking part in the TAF TSI Common Interface pilot. Version 4 of TIS – including TAF TSI and new reporting features – was released in May 2012. It provided many additional features for infrastructure managers and railway undertakings, including a new function named ‘TIS for Terminal Operators’ that provided data to terminals only, by displaying trains to and from terminals; with no other trains being displayed. Moreover, the RU-IM interface was optimised in order to filter data more precisely. In 2013 many infrastructure managers joined the system and a change of supplier was carried out with Version 5 being released in October 2013 which performed much better than before. Following customer demand, TIS was developed to handle a certain number of national trains. TIS could now work as a message broker for railway undertakings and infrastructure managers, reducing their costs because fewer interfaces were required provided TIS aggregated the data and transmitted it in a single stream. Common Interface software was developed as well, enabling local systems to transfer required data between rail freight industry stakeholders. This has improved transit time reliability and shipment information. In 2014 the user interface was given a makeover, aligning it with state-of-the-art web design. Tools for maintenance and alert functions were added in order to be able to react immediately if information was not consistent with predefined thresholds. In February 2015 Version 6.0 was deployed with a more intuitive interface, a news ticker on the login page, optimised filter functions, plus improved content and layout of the train and information pages. In recognition of its high European added value, TIS has received European Union funding since 2008 for which RNE is very grateful. TIS is currently equipped with three main functions: Real-Time Information, Reporting and Data Exchange. It standardises the exchange of data between different players, aggregates real-time train information supplied by infrastructure managers and dispatches it to the infrastructure managers and railway undertakings, or shows it to all relevant partners. Both passenger and freight train data are extracted directly from the infrastructure managers’ own systems, including: current and past train locations; agreed daily timetable information; delay information; and reasons for delays. Thus, TIS assists the production systems of railway undertakings and terminals, and supports infrastructure managers’ train-run management. Additionally, TIS serves as a message broker for incoming trains. TIS Version 6.2, released on 18 January 2016, is tablet-compatible and has been optimised for smartphones. When a user logs-in, using one of four web browsers (Chrome, Firefox, Internet Explorer or Safari), the new TIS knows instantly what type of device the user is handling and displays optimised pages accordingly. This does not involve an app in the mobile telephony sense but an optimised classical application. This solution is less costly, low-maintenance, does not require any additional user management and means that only one operating system is involved. In the first two months alone, some 3,500 TIS pages were opened using mobile devices. The TIS graphical interface visualises international trains in real-time. It features network overviews, space-time diagrams, train run reports, etc. There are numerous benefits to this: optimisation of train disposition; optimisation of resource allocation (time, funds, rolling stock and staff); steering of the logistical chain; and a strong sales argument towards customers: ‘The RU knows the position of the train’. TIS is one of the most advanced international train information systems in Europe, providing real-time train traffic data (forecasts, running advice, delays) via the Internet. Information about almost all international trains within the European Union is already available. It is the only system with such a wide coverage; being accessible from the Algarve to Amsterdam, and from the Baltic to the Black Sea. Overall, more than 4,000 trains are tracked on a daily basis, with peaks of 4,500 to 5,000 on working days. A unique feature is that it combines readily-available national information to create international train operations. 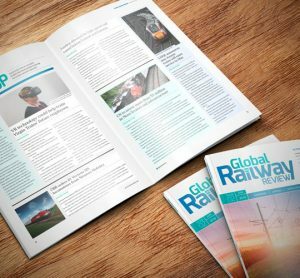 TIS speaks with one voice for all rail infrastructure companies. 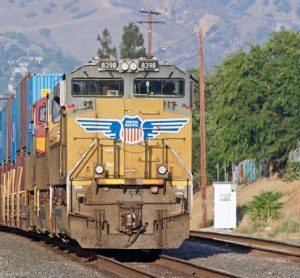 Freight train operators only have to log-in once to monitor the progress of their consignments instead of having to call several infrastructure managers or, not so long ago, the train driver. Confidentiality is preserved thanks to the system’s multi-tenancy capability. Railway undertakings have unlimited access to their own trains and to those operated collaboratively through a data exchange agreement. Similarly, terminals only have access to trains running to/from the terminal if they have signed an agreement. These agreements are the basis for what is shown on the TIS display when a participating railway undertaking or terminal is logged-in. TIS information may be used for both traffic management purposes (during train operation) and quality reviews (after the train has been in operation). Indeed the TIS reporting function makes it possible to conduct performance analysis, identify capacity or technical bottlenecks, define appropriate corrective actions and gain feedback on their effectiveness. It can also provide statistical information about international rail traffic. It is used by the Rail Freight Corridors for their Train Performance Management processes. During its roll-out across Europe, TIS spotted various non-harmonised timetabling and operational processes between neighbouring infrastructure managers. For example, times sent at border points did not always match reality (e.g., train departure time later than its arrival). Thus from 2010, RNE systematically detected bilateral problems involving border-crossing traffic; bilateral platforms were set up to work out solutions or workarounds. TIS data exchange complies with TAF TSI standards. On 31 January 2013, the GySEV-Raaberbahn network was the very first infrastructure manager connected to TIS via the TAF TSI Common Interface – licensed and provided by the UIC Common Components Group. 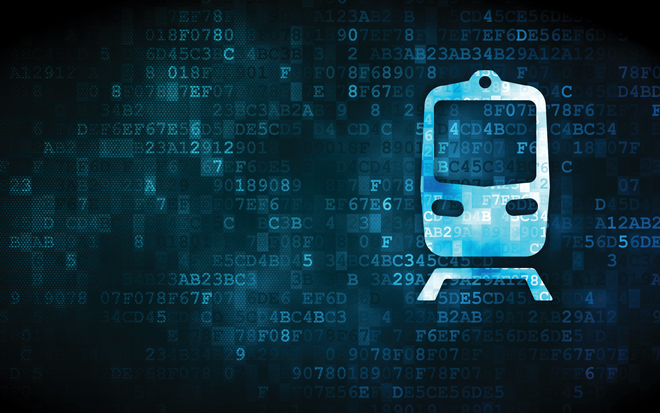 This enabled data exchange between TIS, infrastructure managers and railway undertakings based on TAF TSI messages – thus strongly promoting the interoperability of the trans-European railway. At the moment, four types of TAF-TSI messages are handled by TIS: Train Running Information; Train Running Forecast; Delay Reason; and Train Interruption. This exciting development means that TIS is viewed as a front-runner system and has been recommended by the Sector – i.e. infrastructure managers, railway undertakings and terminal operators. The TAF standard has been in use in the TIS production environment for every new data exchange since summer 2013. For instance, the average number of TAF-TSI messages per week in 2014 was 500,000 outbound and over one million inbound. Thus, the rail sector is already exchanging several million messages within the TAF/TAP TSI framework every month. Increasingly, other RNE applications are coming under the TIS umbrella. For instance, since 2014 TCCCom (Traffic Control Centres Communication) can be accessed via the TIS log-in; predefined operational information can be exchanged between control centres even if employees do not speak the same language – it is translated into the recipient’s language. It is planned to interconnect TIS with RNE’s PCS (Path Coordination System) so that international timetables can be consulted. In the longer-term there will be synergies with other international projects, such as unique train identification, simplifying the tracking of international trains. All-in-all, the RNE Train Information System has turned into a robust, large-scale, Europe-wide data exchange system that can handle a vast amount of information. Tools such as TIS stand or fall with the quality of their data. From the beginning this was a matter of importance for RNE and all of its members. In 2009 a dedicated manager was appointed to continuously improve data quality. To take a couple of concrete examples: some infrastructure managers update their train data every two minutes, whereas others do so only at the start of the train run; the density of operation points varies greatly across networks; and while automatic data provision has become very common, some infrastructure managers still use a manual procedure. Furthermore, TIS relies on a large number of national interfaces (currently 23) to create standardised information. As a result, every time a national tool is modified, we take extra care that this modification will not affect the whole system and its quality. Twenty-three infrastructure managers have already joined TIS and the roll-out across Europe is almost complete. Several large, internationally-oriented railway undertakings have also adopted the TIS interface. The next TIS adopters will be the three Baltic States, the United Kingdom, all nine Rail Freight Corridors and approximately 1,500 freight terminals. TIS is one of the main IT instruments for the implementation of the Rail Freight Regulation (913/2010) and is quickly becoming the backbone of the Rail Freight Corridors (RFCs). It can provide corridor views and customised reports. The TIS reporting function has already been extended to the RFCs and may be used to harmonise corridor performance regimes. Forthcoming improvements will expand the system’s functionality: a corridor-based view function will allow filtering by corridor. Last but not least, TIS will be made ready to deal with the unique train ID from December 2016 onwards. How can you become a TIS User? For queries regarding TIS and information on how to become a TIS User, please consult the dedicated helpdesk and website1 or contact via email3. Free user accounts are offered by RNE to interested railway undertakings. The use of TIS is limited to railway undertakings, terminal operators and infrastructure managers with international and national traffic. Ann Billiau has been Member of the Managing Board of RailNetEurope (RNE) since 2013 in charge of IT. She studied at the University of Louvain-La-Neuve (Belgium) where she got a Master’s Degree in Mathematics and a Master of Advanced Studies in Geophysics. She has also been a Member of the Board of Directors at Infrabel since 2011. 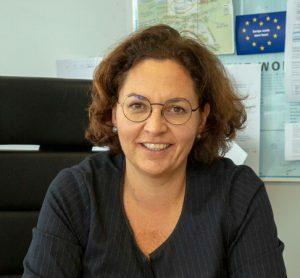 Her Direction is the single point of contact for the railway undertakings running on the Belgian network and covers all activities about safety, punctuality, capacity and real-time traffic management. Since January 2007, Harald Reisinger has been the CIO of RailNetEurope (RNE). Prior to this he was the CIO of the Austrian railway company ÖBB from 2005-2006 and, before that, CIO of the ÖBB Betrieb AG (Austrian rail infrastructure manager) from 2002-2005. Harald holds a Master’s in Computer Science and Economics from the Technical University of Vienna. Josef Stahl has been TIS Technical (now General) Manager at RailNetEurope since June 2008. A lifelong railwayman, Josef attended the Vocational Business Administration course at the Deutsche Bundesbahn college from 1974-1977. He then joined Deutsche Bahn where he worked as Traffic Management Expert (1989-1999) and headed the ‘Centralised System Management Headquarters DB Netz’ Unit from 1999-2008. Florian Sandauer has been Data Quality Manager at RailNetEurope since July 2014. He is also the CEO of seebi GmbH, a Vienna start-up in the field of Cloud Services and Business Intelligence. Prior to these activities, Florian acted as a Data Warehouse Consultant at Mayer-Melnhof GmbH. This article gives a perfect insight in the development of a European wide application. One language (TAF) ensures a smooth and adequate international communication. I think this is the right track to go for Europe. And I like very much to join this platform for further developments.